Red mud. Gray mud. Slippery mud, sticky mud, wet mud. Dry mud—yes, dry mud. Black mud, rocky mud, thick mud, and thin mud. Rain, snow, sleet, hail, clouds, and searing sunshine. 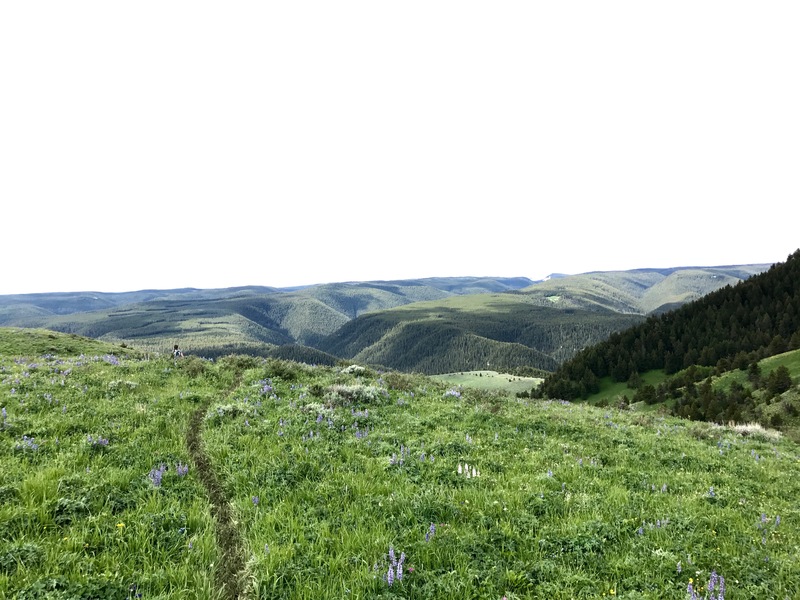 A special kind of insanity drives a person to sign up for one of the four Bighorn Mountain Trail Run distances, and only the most steadfast come from around the country to tackle the 100-mile endurance run. This spring, after running road races for almost a decade, I decided to try the 50k distance—32 measly miles—and was in for an experience I couldn’t have imagined, nor trained for, even after six months and more than 550 miles. 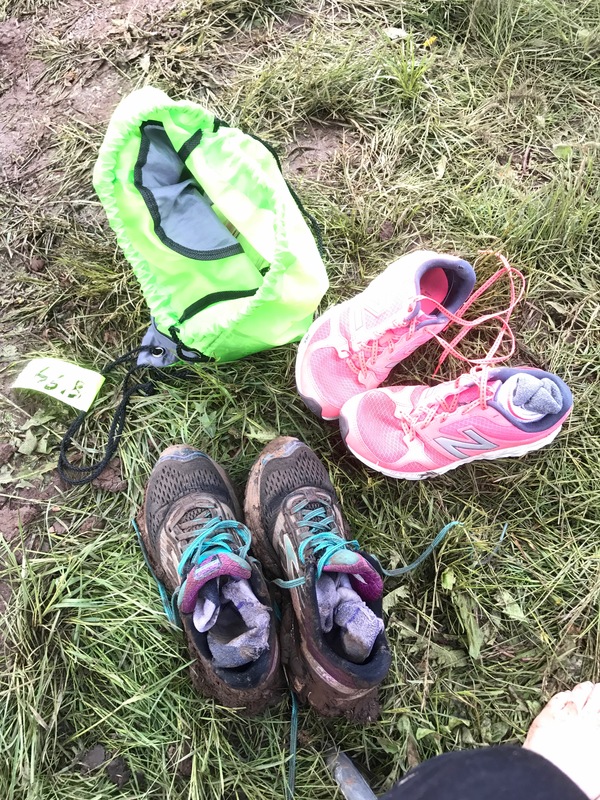 And yet, my race, June 17, was nothing compared to the muddy hell that was the 100-mile run. I got no sleep as I listened to a thundering rainstorm in Sheridan on the night of June 16. It was the night before what would be my own first foray into ultramarathon trail running, and I had been training for months. I couldn’t help but picture the 100-milers in the storm, 10,000 feet up in the Bighorn National Forest. In reality, what was happening in the dark of night at the 50-mile Jaws aid station was worse than what I could have imagined. 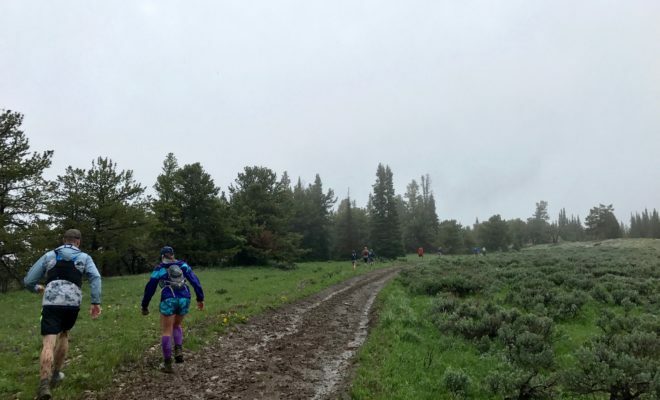 Runners were trudging through unbelievably muddy, wet and cold conditions, some almost crawling to the check-in just to drop out of the race. Despite the conditions and amount of 100-mile drop outs, the 25th anniversary story is one of triumph. It is a story of a runners’ brotherhood, for something happened June 17 that rarely—if ever—happens in competitive ultra-marathoning. The top four male finishers of the 100 mile distance stopped competing, opting to finish the race together. Instead of jockeying for first place over the rugged terrain for miles, as has always happened in the past, Andrew Skurka of Boulder, Colo.; Alex Ho of San Francisco, Calif.; Brian Oestrike of New Paltz, NY; and Erik Lipuma of Boulder, Colo. met on the trail, some of the men joining at mile 50, others later in the race. Then instead of competing, the four decided to finish together on Saturday. The conditions were just that intense. During the storm Friday night, I had sent every fiber of goodwill I could muster to the runners out that night, hoping that somehow, my well-wishes would help them through. Saturday morning, around mile eight of my own 32-mile trek, I encountered my first 100-mile runner. His white numbered race bib was smeared brown, as were his legs, his shorts and even his upper body. I told him I’d been thinking of him throughout the night. “Well, it’s your thoughts that are going to get me to the finish line,” he said—and I couldn’t tell if he was being facetious or appreciated my mental dance to the rain gods. Perhaps after the night he had, he didn’t know if he believed in the power of prayer or not either. 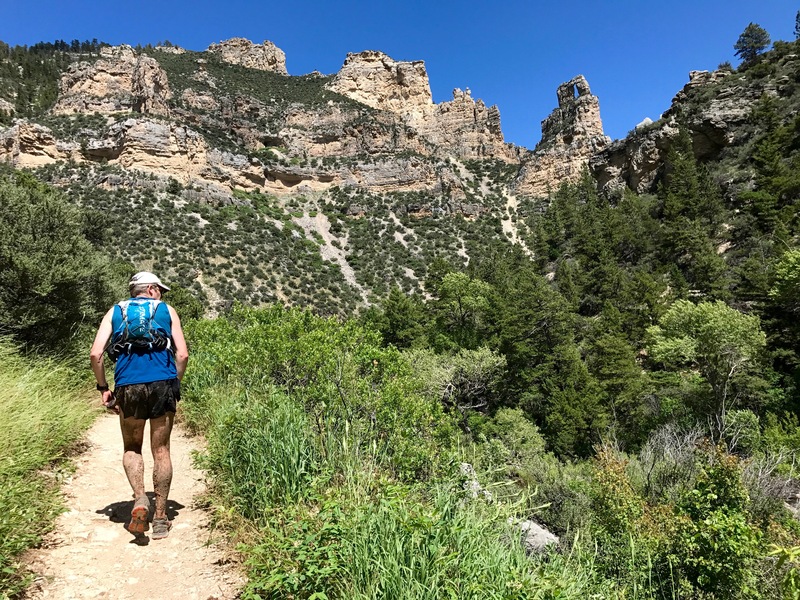 According to the race description, the Bighorn Mountain Trail Run is located in the “beautiful Bighorn Mountains just outside of Dayton,” offering four distances over two days. The 2017 event marked the 25th annual Bighorn Mountain Wild and Scenic Trail Runs. The 100-mile runners began at 10 a.m. on Friday, June 16. All other runners, including the 52 mile, 32 mile and 18 mile competitors, began June 17. 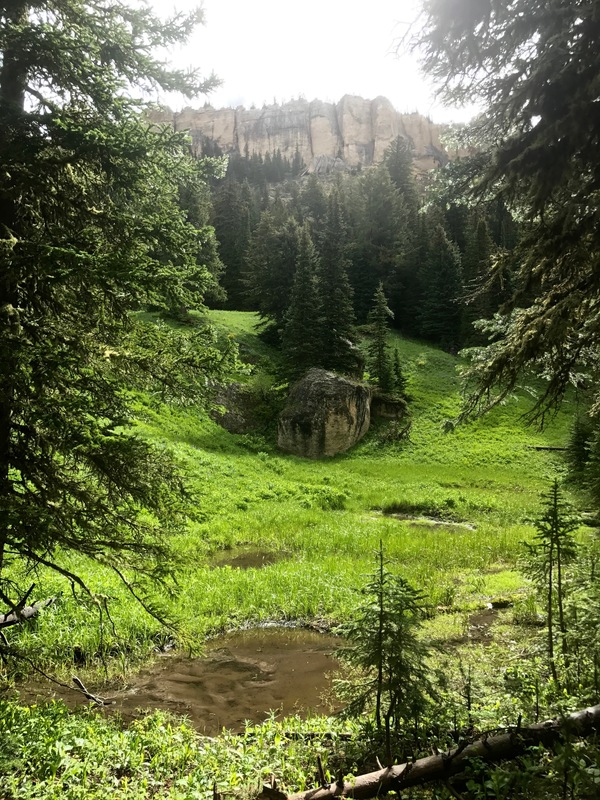 The courses are designed to maximize the exposure of the participants, their families, and race volunteers to an extremely scenic, wild, and primitive area of geologically unique Bighorn Mountains, according to the course description. Though the event has been going for 25 years, the 100 Mile Endurance Run was in its 15th year in the summer of 2017. Powers Maneval said that there were runners in the 100-mile and the 50-mile who were “literally crawling on all fours to make it through sections of the course. The previous year, runners reported extreme heat—some even had to be treated for hyponatremia, a condition that occurs when the level of sodium in the blood stream is abnormally low, which can happen from drinking too much water during endurance sports. To combat low sodium levels, the volunteers on the course offered a variety of snacks and refreshments. At mile 26, I myself grabbed what I thought was Gatorade, grateful for a swig of cold juice. The cup was actually full of sour pickle juice—though the heat wasn’t an issue as much as the mud, I probably needed the salt. Heat or mud; rain, snow or sunshine: You never know what you are going to get. 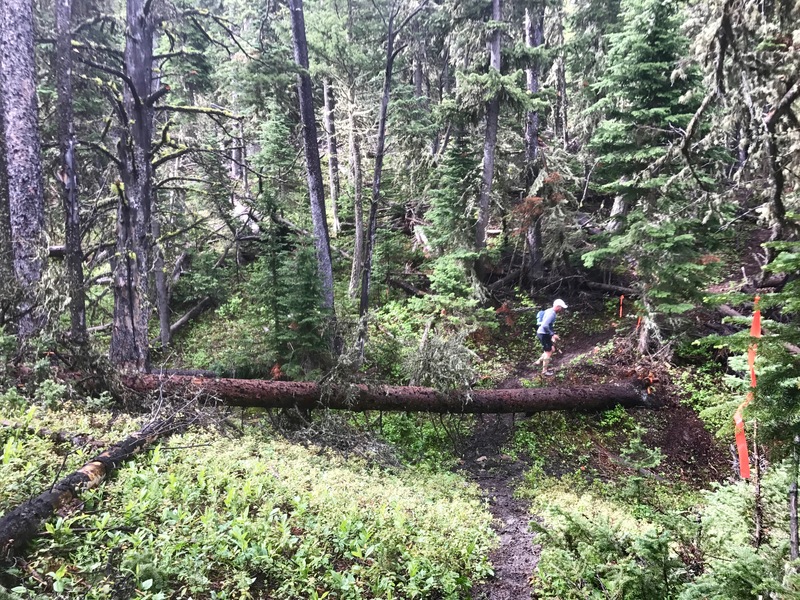 Extreme conditions are common in trail running. It’s part of the draw. Andrew Skurka, one of the four top finishers, said that despite the awe-inspiring group finish, of which he made up one-quarter, there really isn’t much to the story. “Eric (Lipuma) and I were running together and working well together, and it just didn’t seem worth breaking that up for a solo victory in a crappy finish time because the conditions didn’t permit anything better,” Skurka said. For those watching the race online, the final results were likely difficult to decipher. Powers Maneval said the race organizers were completely unprepared for this kind of finish. “You can watch the race results coming in at the end and it is so exciting,” she said. “You get no sleep, because the lead runner just got passed by someone in second place, and then — nope, the other guy is in the lead … it is jockeying for first place, but this year, that didn’t happen. “We called it a brotherhood—they just built this brotherhood along the trail, and decided they were going to finish together instead of racing it out to the finish because it was … hell,” she said. The four men finished the 100 mile distance in 21 hours, 30 minutes and eight seconds. “We had to go back and make special awards and gifts for them, because they donated their cash winnings that the first place winner would have gotten back to search and rescue,” Powers Maneval explained. Usually, the frontrunners in a competitive ultramarathon don’t form a bond. Runners in the middle to back of the pack will often form bonds on the trail, but in the top 10, the runners are usually in a full-out race. But this year, because of the drop-dead-or-die-trying conditions, Skurka, Lipuma, Ho, and Oestrike decided to finish together. Each year, the race reputation grows, but the number of runners does not. 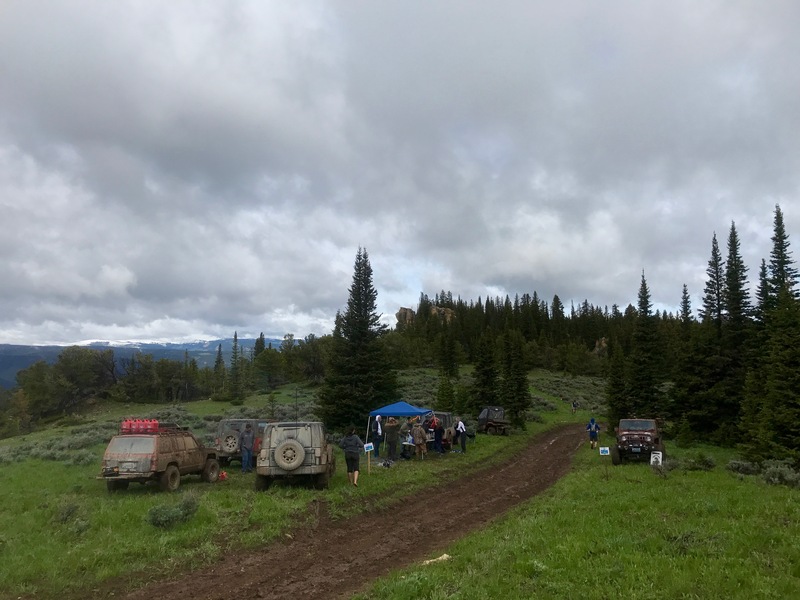 The event has filled to capacity for 10 years, meeting a limit set by the Bighorn National Forest. “We are not allowed to grow it because of the Forest Service permit, and we don’t want to grow it,” Maneval Powers said. “One of the reasons people come back is because of the size. We are able to treat everyone as a runner and a person, and not a number. “We take pride in making sure that every runner has an experience in Wyoming and the friendliness of the area,” Maneval Powers said. When online registration opens in January each year, the 18 and 32 mile distances fill within two minutes. 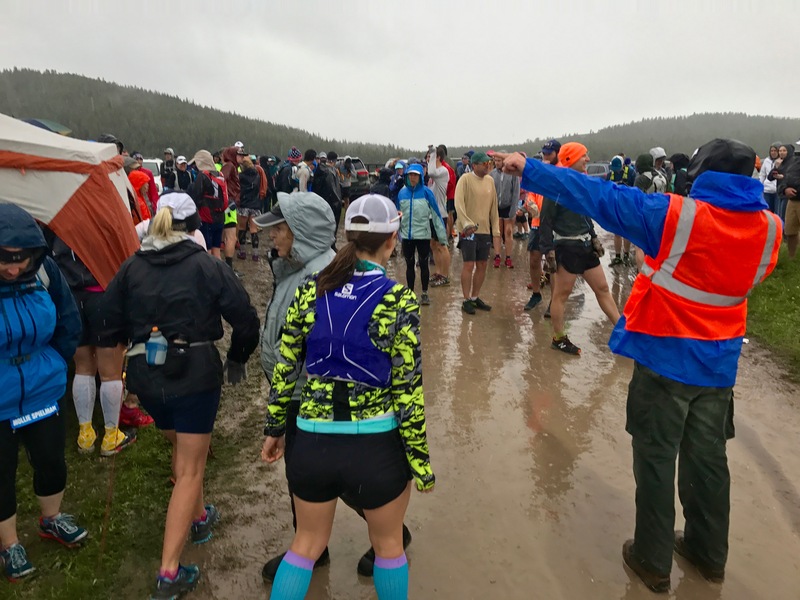 And so, the legend of the Bighorn Mountain Trail Run continues to grow, with a story of mud, brotherhood, and unity in its 25th year.